New players only. Min deposit 20 £/€/$. 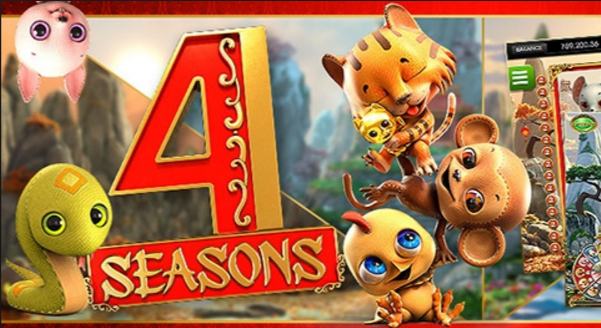 Bonus to a max of 100£/€/$ + 50 bonus spins. Wagering bonus (+deposit) 35x. Wagering bonus spins 40x. Bonus T&C apply. It is surprising at times how many online casino sites take themselves seriously, perhaps what could be claimed as too seriously. It’s true that there are professional casino players in this world, and I understand looking to appeal to them, but a lot of people play online casinos because they like to have fun, and for those people, options have, at times, been limited, but not anymore. 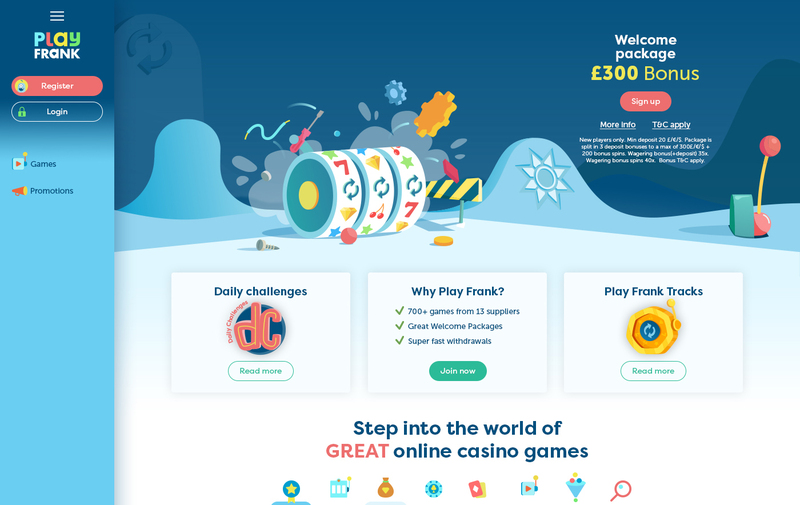 There’s a growing bunch of playful casino sites around, and one of the most eye-catching is PlayFrank. 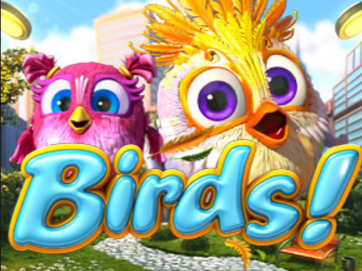 Playful, smiley characters, various shades of blue, funky images, and a sleek, modern set-up to the site that helps with ease of navigation shows that a site can be created with fun in mind, without taking anything away from the gaming experience. If anything, it adds to it. Everything is easy to locate here, and much of the design is made up of thumbnails of popular slots, which are accessible from the homepage with a single click. Games come from NetEnt, Microgaming, NYX Interactive, Play'n Go, BetSoft, and Endorphina here, as well as live dealer games from Evolution gaming, to prove that the playfulness does not affect the quality of gameplay at PlayFrank by any means. If you like slots, you’ll find old favourite like Game of Thrones next to new releases like Divine Fortune and jackpot slots such as Mega Moolah. If you’re more into table and card games, you’ll find roulette, blackjack, video poker, and baccarat in more forms than you could possibly know what to do with, and, as previously mentioned, you can enjoy these in a live casino environment for that true to life experience. PlayFrank is nothing short of an excellent site, as playful as it can be, as serious as it needs to be, the execution is top class all round.